The scientific name of vinegar is Acetic Acid and many countries have their own way of making their vinegar based on the available flora and fauna unique to the land. In continental Europe they have various vinegar products including Balsamic, Red Wine and White Wine Vinegar. In the US, the apple cider vinegar is popular and in China and Japan we can find a variety of rice wine vinegar including Chinkiang Vinegar, a black, inky vinegar known for its medicinal properties. The popular vinegar here in our country comes from the sugar cane and the coconut wine. And according to this article from a famous vinegar brand it is supposedly one of the strongest in the world and very potent with an acidity level listed as one of the highest. This is actually the reason why our vinegar has enabled us to invent and develop dishes that are so out of this world they bring new meaning to the word “exotic”. sauces and dips; and of course, #3. Enhancer / main ingredient for our dishes. As much as I would like to avoid surreptitiously advertising our family business by casually inserting references here in my articles, I have to give credit where credit is due. As my editors would agree, a source is a source and acknowledging them is important. (cue evil grin) Much of what I know I owe to my experience in the hotel and restaurant industry, but during those times that I was in the hotels, I barely got to cook Filipino food. I did, but only like ten (10) percent of the dishes we made was of Filipino origin. It was only when I joined our family business that I got exposed extensively to original Filipino dishes. Our cooks, God bless them, are wise and experienced – in culinary vernacular that means they are old. They have been around since our business started in the early 70’s and early 80’s when my grandmothers ran the café and their methodologies are truly traditional. They have been working for us since before I was born and their knowledge of Filipino dishes can equal Jedi master Yoda’s knowledge of the force. In fact, while learning from the cooks I realized these preparation techniques are rather ancient, in a very good way. I saw in them the preservation of our culture and culinary tradition and it brought my culinary journey to a complete circle, I was now home. I had to travel far and wide to come back home and fully appreciate what we had. So now, let’s explore the uses of vinegar one by one, starting with its ability to neutralize certain ingredients. This is the first major use of our vinegar, to neutralize ingredients that are otherwise inedible. If we use this technique but interchange our vinegar with balsamic vinegar or apple cider vinegar, it will not have the same effect and will be difficult to cook after. Neutralizing certain ingredients, in particular animal innards, internal organs need a strong acid. That’s where our vinegar comes in. When cooking dinugo-an, for example, we first need to clean the liver, intestine, stomach, lungs and even throat of the pork. We do this by drenching the above mentioned innards and organs in salt and vinegar. These are then transferred to a huge pot, added with water and brought to a boil. After neutralizing the organs, they are now ready for further cooking by chopping them up into small bits and pieces. Sauté them with onions, garlic and other ingredients then later on add the pork blood. Dinugo-an is very unique to our culture. Yes, there are other countries that cook pork innards and internal organs but quite differently from our Dinugoan or Paklay. This is all thanks to the fact that our vinegar is very potent and its acidity level enables it to neutralize the said ingredients thereby making them edible and delectable. Paklay is another hearty Filipino dish very unique and quite tasty made from innards and internal organs, if cooked with pineapple and sayote it will make for a very sumptuous alternative to Dinugo-an. When cooking Lechon, so as not to waste materials and throw away the organs and blood, we cook them and make Dinugo-an. That is why every time we order whole Lechon, we demand that their must be a free dish that comes along with it… the Dinugo-an. We are very rabid when it comes to this request. If we order whole lechon for our special occasion and the Lechon provider will not give us free Dinugo-an, all hell will break loose. We will boycott the said provider, shame them in social media and ultimately vow never to again order from these Lechon cooks ever again… That’s how passionate we are with our dishes and our traditions (and our freebies, it is amazing how cheap and frugal Cebuanos can be at times). The next very important use of vinegar is its role as base for making those awesome dips and sauces. 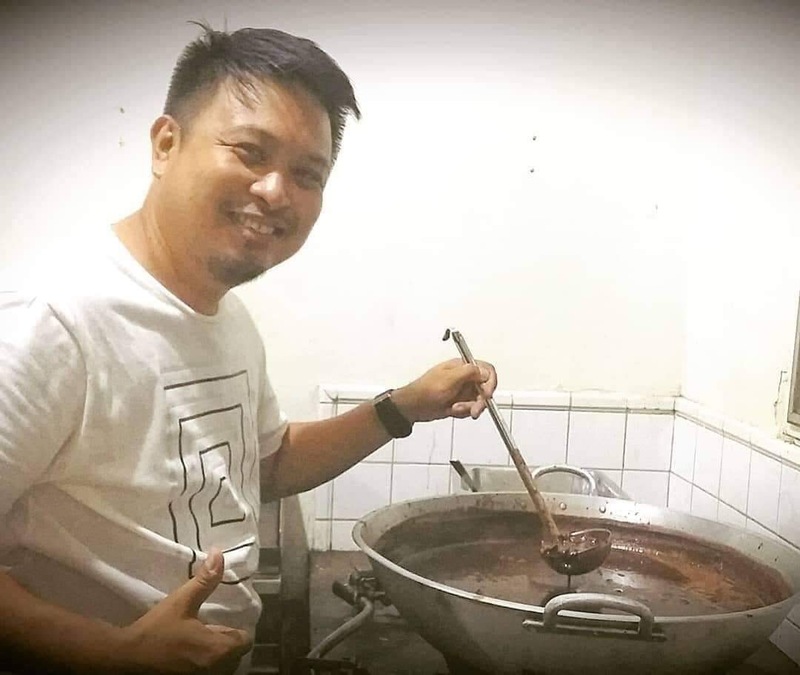 Sauces made for Humba and Asado and adobo are derived from the combination of vinegar and soy sauce, the most holy marriage of all Filipino sauces that yields an entire repertoire of dishes ranging from pork viands, chicken and even fish. And as a dip, let’s not forget the ultimate Filipino vinegar dip, the Pinakurat. For eating with dried fish, a simple dip made from vinegar, garlic and salt will do just fine. But for dipping fried rolled dumplings and chicharon, we need to level up and seek assistance from the dip that can end all dips… the Pinakurat. Pinakurat in the Visayan language means to scare. It originated from Iligan, a city in Northern Mindanao and it is basically made from the traditional coconut wine vinegar mixed with herbs and spices. You let age in the bottle the “tuba” vinegar and you mix in minced garlic, chilies, chili fingers, onions and ginger and even pepper corn. If you plan to make your own “Pinakurat” make sure you use the coconut wine vinegar and not the sugar cane vinegar. You add the above mentioned spices and you can add other ingredients to make it your own, like bay leaf and dried bell peppers. If you want to be like a true millennial and add some sophistication to the dip, you can use a blender or a food processor to really finely chop the ingredients and make them homogenous with the dip. Also, you can lightly fry the garlic and onions to use that sauté or ginisa taste and enhance your Pinakurat. To level up your salad experience you can invent your own Filipino vinaigrette by mixing your homemade Pinakurat with oil. Vinaigrette is made by mixing one part vinegar, and three parts oil. You can use olive oil or canola oil to make your vinaigrette and joyfully whip it and mix it with your mesclun greens. We once made a salad using this pinakurat vinaigrette and made it into an Asian dressing byadding Kikkoman soy sauce and sesame oil. Your salad can be enhanced further by putting Fried Dilis and green mangoes as well. Fusion dishes are something of a specialty of mine. As I was blessed enough to have gone to other countries, see other places and taste various types of food, I can co-relate them and compare them to our own and at times create fusion dishes that are both Filipino and western at the same time. If you wish to experiment with the recipes I share please do so. In the future I will be sharing more recipes so my readers can taste the food they read about. The last, and definitely not the least, is how Vinegar can be used as main ingredient to our dishes, for our viands and for salads, appetizers and soups. As mentioned above, vinegar can be a dressing, a dip and a sauce. The bitter-gourd salad (Ampalaya) uses the vinegar as the main ingredient and this dish is known to have healthy benefits like lowering your blood pressure. For making main dish with vinegar, a perfect example is the Paksiw. Paksiw is a stew and is basically a method of cooking. In fact, we can paksiw pork and we can paksiw fish. Fish paksiw in Cebuano is Inun-onan, and in some households, it is served every day for breakfast. The left over Lechon can easily spoil so what we do is cook it as paksiw so as not to waste perfectly good meat. Home made spicy vinegar dip similar to Pinakurat. When I was in culinary school I learned how to make Ceviche using vinegar and realized it was actually just kinilaw. And poached fish with white wine vinegar was similar to Inun-unan. Although Ceviche is supposed to have originated from Peru where Spanish conquistadors copied it and brought it to Spain, there are debates that our Kinilaw is very much original Filipino dish because it is one of three ways to cook a whole fish in our pre-Spanish history, the Su-To-Kil methodology: Sugba (grill), Tuwa (broth) and Kilaw (raw). I even had an argument with a colleague who believes we copied Kinilaw and Adobo from the Spaniards or the Mexicans who came to the Philippines three centuries ago. 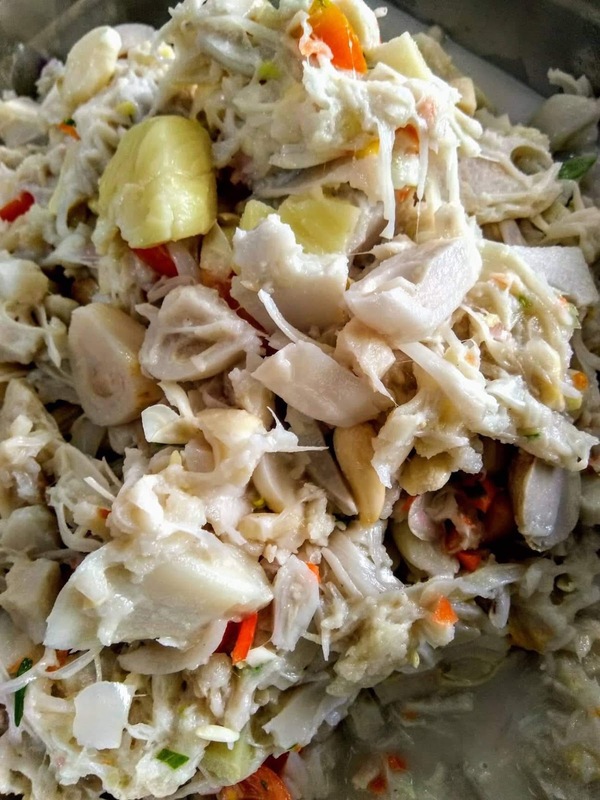 But according to the master chefs that I am consulting with, our cooks who work with our family business, Kinilaw is a traditional dish Filipino fishermen prepared for their family after arriving from a fishing trip and this has been so since time immemorial. When I started my culinary journey I didn’t mind much Filipino food. I was all about the pasta and the steak and the brown sauce and the wine reduction. But as I grew older (and allegedly wiser) I came to realize that I really didn’t have to look far to discover a treasure trove of culinary masterpieces and methodologies because it was just there, right in front of me the whole time. Filipinos can do so much with just one ingredient – Vinegar, imagine what we can do with the other arsenal found in our kitchen.